High five, anyone? We made it to spring! 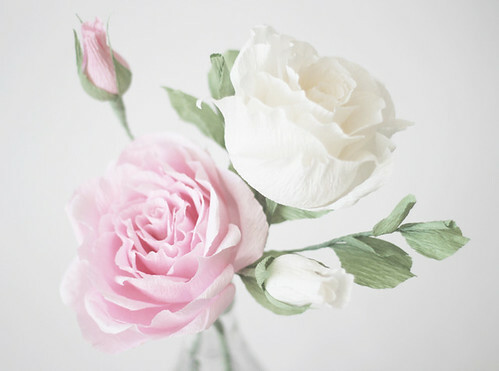 Let's celebrate by ogling Ji Kim's gorgeous crepe paper flowers. 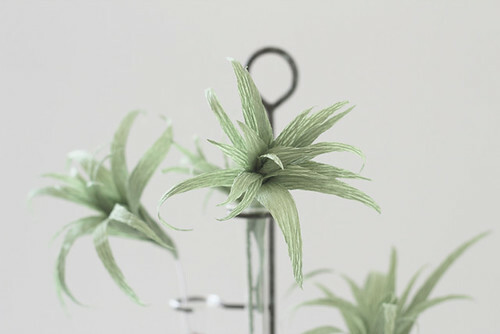 I first learned about her site, Blooms in the Air, in an interview she did for the Freutcake blog. Ji describes herself as an architecture-designer by day and crafter by night. 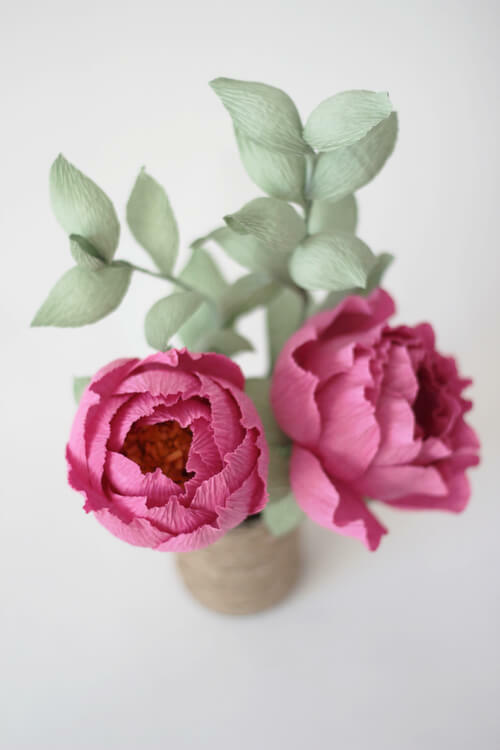 Believe it or not, she only began making paper flowers a few years ago, but has an undeniable talent for creating exceptional blooms. I almost felt guilty contacting Ji, as I noticed via Instagram and her Etsy shop away message that after a year of doing Los Angeles craft shows, opportunities have been coming from all directions and she's incredibly busy. Ji emailed me back right away with answers to my questions though, so she is also very organized! Will you be attending shows this spring or are you mainly filling custom orders? Last year was dedicated to craft fairs. I wanted to know my audience better and interact with them in person. It was also a great way for me to step out of my creative zone and get a chance to complete it as a product. I learned a lot and can say that I gained experience, confidence and exposure. I plan to do more craft fairs in the future, but this year I’m focusing on fine-tuning my brand, revamping my shop and investing in developing and strengthening relationships with my vendors and fellow artists. Is it your dream to turn BITA into a full-time business or do you prefer keeping it as a creative side project? My most recent life lesson was never to put all my eggs in one basket. The recession taught me that. 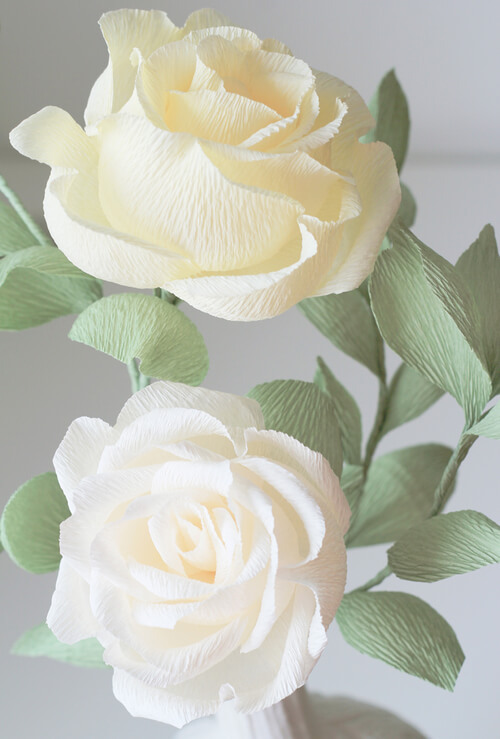 This lesson is one of the reasons that made me commit to making my paper flowers more than a hobby. I’m a full time archi-designer and BITA is great balance. I firmly believe that it is my choice to define what role architecture and BITA will play in my life. Depending on what life hands me, I will shape those two accordingly to live a life that is full, healthy and meaningful. Therefore, I will never just do BITA or just architecture. However, because I’ve grown to love BITA as much I love architecture, at some point I think it's fitting that I dedicate more of my time and energy on crafting BITA, just as the years I spent training as an architect. 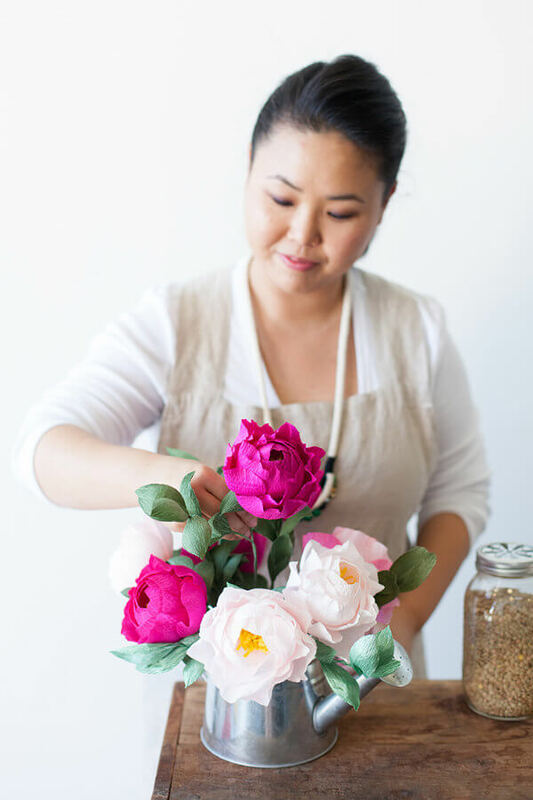 Don't miss the Freutcake link where Ji shows how she makes her favorite flower, the crepe paper peony. Stunning flowers! Thank you for showing them. That's the exact same reaction I had, Darja! Thanks for your comment. Oh cate, that's not fair! I hope spring will come your way soon. 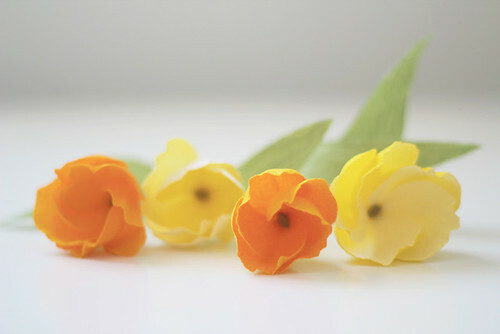 Crepe paper make such delicate blossoms. Lovely. Great article Ann. How beautiful. I'd pay to have someone make me a bouquet of these. 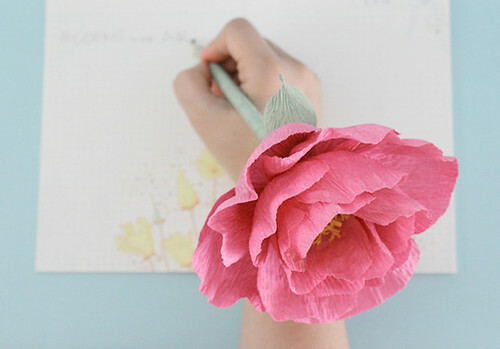 Gorgeous blooms and her peony tutorial looks tempting. So glad you like them, Lucyna! Anon, I think so too!